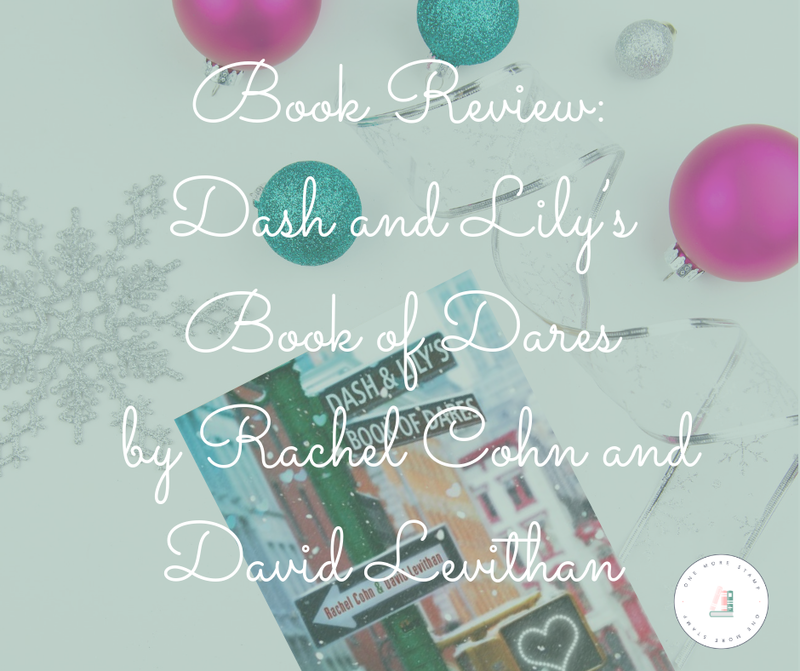 Dash and Lily’s Book of Dares by by Rachel Cohn and David Levithan is the story of Dash and Lily as they fall in love by exchanging a red notebook back and forth. I have read this in December for the last three years and I think that I am going to continue with that tradition. Chapter alternate between being told from Dash and Lily’s perspective. Each character was written by one of the authors which gives them voice very distant voices and personalities. Sometimes their voices clashed. You could tell that two different people were writing this book and it worked perfectly. Dash is crabby, too smart for his own good, and I love him. He needs a hug from Lily. I love Lily’s zest for life. I love that she is quirky and living her life her own way. Lily struggles to make friends with kids her own age. I love how New York centered this story is. I love it when a book really explores it’s setting. Where you are in the world makes a huge difference to how you experience the world. This would have been a much different story if it had been set in Berlin, Jakarta, or Lima. Or even just in suburbia. This book is a love letter to New York at Christmas. It is amazing how hard I ship these two even though they are NEVER together. Their completely opposite worldviews cause both sparks and personal growth in one another. This makes me think that they will bring out great things in one another as a couple. There is a whole discussion about the idea of someone vs. the reality of someone that I absolutely loved. I am a sucker that sort of thing. I love their different feelings about Christmas. I think that in some ways most of North America is either a Lily or a Dash. I am definitely a Lily. I LOVE me some Christmas. Maybe it is because I only go “home” for Christmas every four years but it is definitely my favorite holiday. It may also have to do with the fact that I live abroad and so do not have any expectations or stress (aside from travel) associated with it. One thing that I liked was how their feelings about Christmas sort of met in the middle. Lily’s enthusiasm for the glitter shine of the holiday is tamped down and Dash starts to accept that Christmas might not be the worst thing ever. I noticed that the plot was sometimes laggy. I think that the authors were sending the book back and forth between them and making things up as they went rather than having the novel plotted out. I like it because it helps the book feel spontaneous and disliked it because it leads to some of the more over the top moments of the book. This is a sweet, funny, Christmassy tale. Read bay the tree while drinking hot coco. You know you want to. PS: There is a sequel!